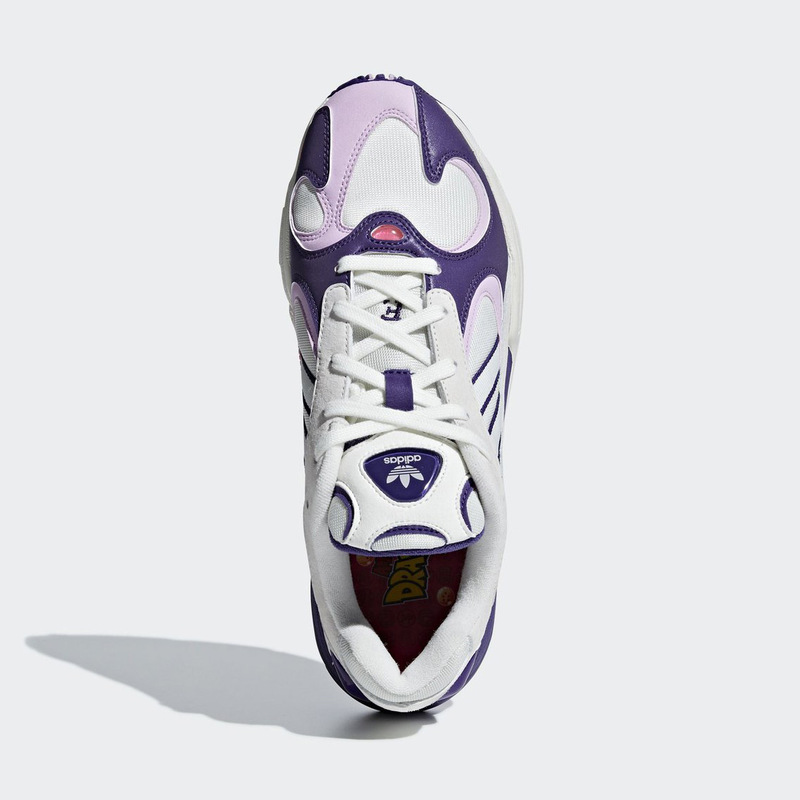 The adidas Dragon Ball Z collection will officially begin releasing on September 29th worldwide. Arriving in sets of two, the pack will pay homage to the most legendary characters — and battles — from the show’s history. Starting things off will be a showdown between Son Goku and Frieza — the emperor of Universe 7 and the catalyst antagonist of the entire DBZ franchise, who was taken out of power upon his defeat at Goku’s hands. 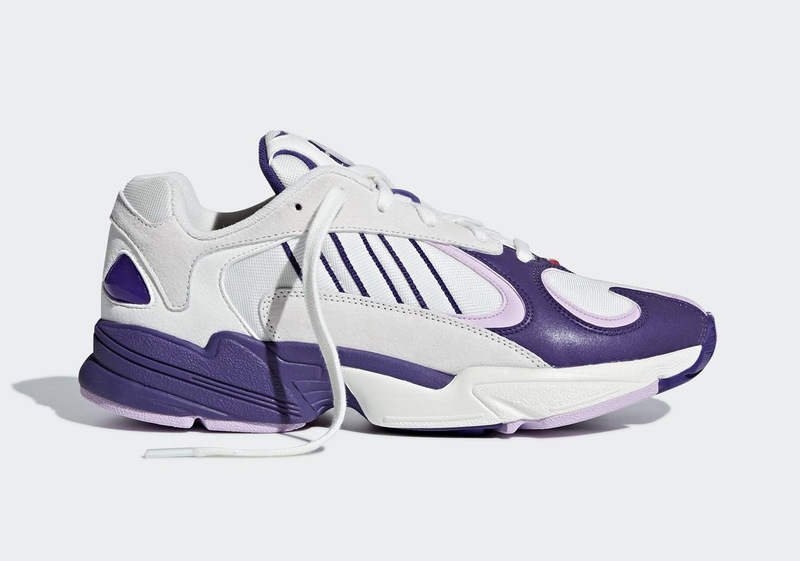 Frieza’s adidas YUNG-1 pays homage to his legendary final form, as it arrives with a white mesh base and overlays dressed in light and dark purple, the latter of which is reflective for an extra pop of style. 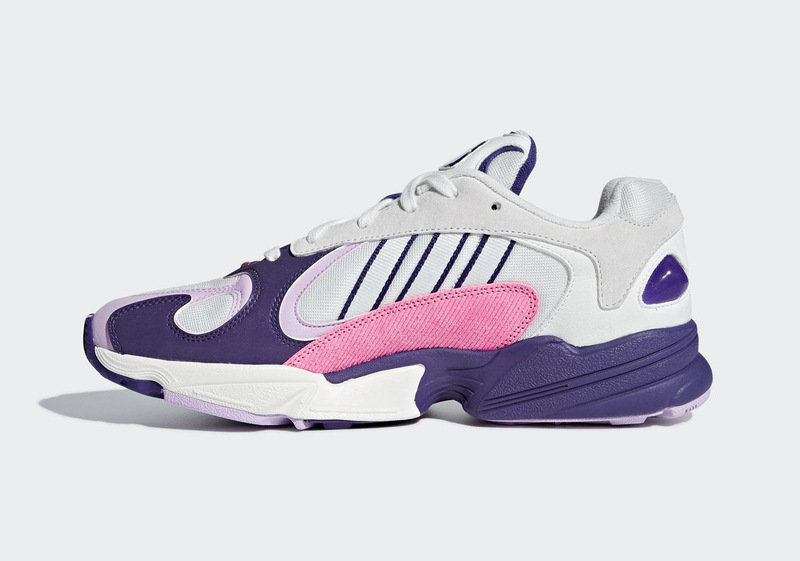 To complete the look, a textured pink corduroy patch — a slight nod to Frieza’s first form — appears on the medial side, and a small pink jewel adorns the bottom of the throat. 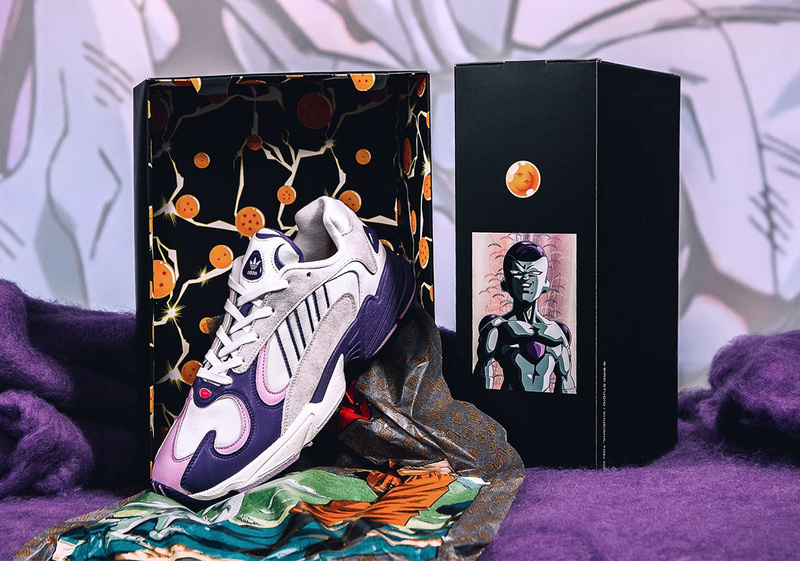 It’s not just the shoes themselves that nod to the villain though, as both the box and the tissue paper are swathed in special Dragon Ball branding and adornments. 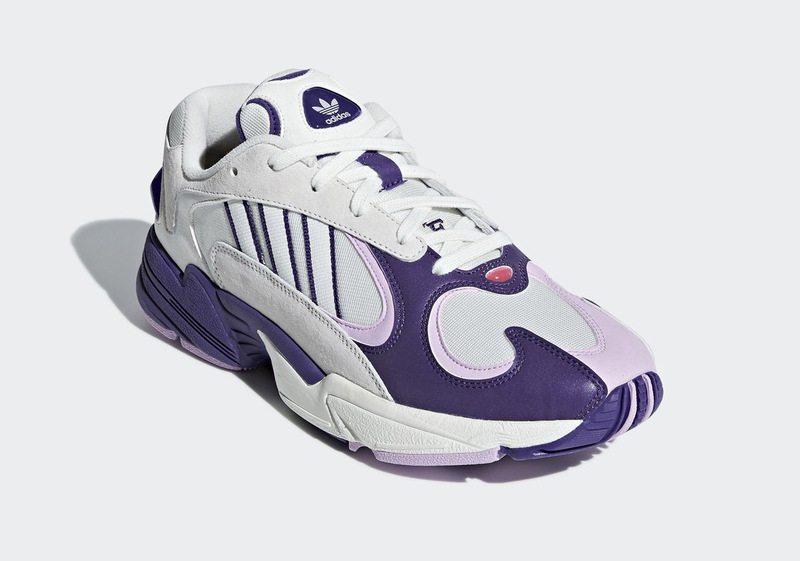 If you’re looking to be like the bad guy, check out our Where To Buy list for the villainous Three Stripes kicks below — and prepare yourself for their release on the 29th.